Hur (Hebrew: חור, Khūr; "Name means::white linen") (ca. Born::2428 AM–Died::2553 AM) was the most famous son of Caleb, the son of Hezron, in the tribe of Judah. He stood beside Moses in the first major battle that the nation of Israel had to fight, and his grandson made one of the finest and most spiritually significant collections of artifacts in history. Flavius Josephus stated that Miriam married Hur. The Bible does not corroborate this, but Miriam and Hur were almost the same age, so such a marriage would have been possible and reasonable. It would also have had a precedent, because Aaron married Elisheba, who was Hur's first cousin once removed. Yet Aaron, and not Hur, interceded for Miriam when she was struck with leprosy for making rebellious statements against Moses. (Numbers 12 ) Hur, as her husband, would have been expected to make the intercession, unless he were already dead (see below). Some rabbinical commentaries state that Miriam was the same as Ephrath, the mother of Hur, and not his wife. No other source corroborates this, and the chronology would not permit it. Floyd Nolen Jones estimates that Hur was born 85 years before the Exodus of Israel. Though the Bible does not give Hur's age at that time, he is of the same generation as Moses and Aaron and probably was born within a few years of those men's birthdays. When Moses climbed Mount Sinai to receive the Tablets of Law containing the Ten Commandments, and the designs for the Tabernacle and its associated artifacts, he left Aaron and Hur behind, with full authority to hear all legal matters. (Exodus 24:14 ) That Hur failed to stop the building of the golden calf was a dereliction of duty almost as serious as that of Aaron. But the rabbinical literature, as quoted by Hirsch et al., suggests that Hur reprimanded the people for even thinking to build such an idol, and they murdered him and thus intimidated Aaron. If Hur did not die in the golden calf incident, then he probably died in the last year before the invasion of Canaan, along with every other adult at the time of the first scout of Canaan by Joshua, Caleb the Kenizzite, and their colleagues. 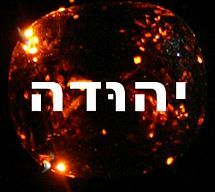 ↑ 1.0 1.1 1.2 Hirsch EG, Seligsohn M, Jacobs J, and Ginzberg L, "Hur," The Jewish Encyclopedia, 1906. Accessed January 15, 2009. ↑ 3.0 3.1 Jones, Floyd N., The Chronology of the Old Testament, Green Forest, AR: Master Books, 2004, Chart 3b. This page was last modified on 30 November 2009, at 06:21.